Thinking of being in a home before the holidays? Five Homes at Kyle Farm Can Close in 30 to 90 Days! Hurry in…. Thinking of being in a new home in time for the fall holidays? Enjoy your life year round at Kyle Farm, built by Patrick Malloy Communities. The sales have been fantastic with four homes put under contract in July alone! Act fast to get moving into your new home with five homes that can close within 30 to 60 days! 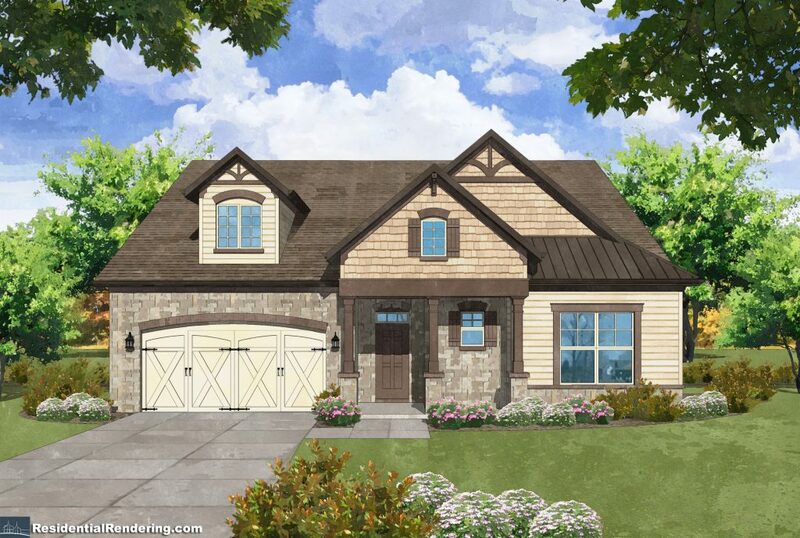 There are two ranch plans, two five bedroom homes with private back yards and a stunning five bedroom home in the Preserve section. Looking for a ranch? Todays ranch homes are spectacular with open floor plans, great design and great upgrades. Ranches are very popular and have a lot to offer the homebuyer. The single-story design makes it ideal for both baby boomers and young families alike—both of whom gravitate toward the style of “long-term practicality”. Call Denise or Linda at 770-254-5401 for more details. Going on right now is a great buyer incentive that is sure to please, but ACT FAST to take advantage of $20K “ANY WAY YOU WANT IT”, $5K toward Closing Cost w/Preferred Lender! Contact agent for full details and requirements. The amenities at Kyle Farm are well into construction and have an estimated finish date of late fall. There are plans to have a new dog park and homeowners will love spending their day both inside and out. Great amenities like the Clubhouse, Junior Olympic pool, Kiddie Pool or take up tennis, bocce ball, volley ball or just toss a frisbee on the event lawn. Or take full advantage of the beautiful summer days on the walking trail to Lost Mountain Park. Stay tuned for more news. Now is the perfect time to purchase your new home before the amenities are completed and prices go up! The Waveland – 3 Bedroom, 3 full & 1 half Bath |5056 Rathwood Circle Powder Springs Georgia 30127 [Map] | Homesite 19 |List Price: $488,370 – A wonderful 3 bdrm 3.5 bath ranch featuring a Flagstone porch opening to elegant foyer leading to large fam room with fireplace. Gourmet kitchen plus eat-in breakfast area & separate dining room. Covered back patio, large owner’s suite with his & hers closets. Two secondary beddrooms-each with private bath! 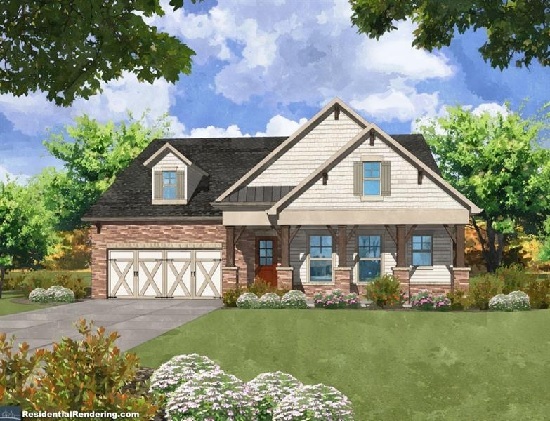 The Fullerton B – 3 Bedroom, 3 Full Baths |5014 Rathwood Circle SW, Powder Springs, Georgia 30127 | Map | Homesite 25 | List Price: $493,185 –. The Fullerton B-a step-less ranch-a rare find! Flagstone porch opens to elegant foyer leading to a large family room with fireplace and gourmet kitchen, eat in breakfast area & keeping room with fireplace. Owner’s suite has his/hers closets. Two large secondary bedrooms & two full baths. Home currently under construction. In a great area, Kyle Farm is in close proximity to Historic Marietta, Downtown Acworth, Downtown Kennesaw, Kennesaw National Park and great malls for shopping and dining like The Avenue at West Cobb or Town Center at Cobb and gorgeous views of Lost Mountain. School is back in session and Kyle Farm is located in the highly sought-after West Cobb School District with it’s students attending Kemp Elementary, Lovinggood Middle & Hillgrove High! Each one of these schools boast enviable ratings! Just check out greatschools.org to see for yourself. All current and future resident of Kyle Farm, both with or without children in school will benefit from the value of purchasing a home in this top-rated school district! Stop by today to choose your new home or call 770-254-5401 or visit us online. Follow us on Facebook or Twitter to keep up with current events, sales and other timely information. Sales handled by Berkshire Hathaway HomeService – Georgia Properties – New Homes Division. Information believed to be accurate but not warranted and is subject to change without prior notice. *Photos may be of like homes.